On 20 October, 2015, the Centre welcomed Mike Russell to discuss ‘Werner Kissling – A Different Country: The story of the German ethnologist who made the first ever film in Gaelic’. Below is this listener’s brief summary of the lecture. Werner Kissling was born in Breslau in 1895 to a wealthy Silesian brewing family. He enlisted in the Prussian guard during World War I, but left after six months to join the German Navy. He then became a diplomat from the early 1920s to the early 1930s. With the rise of Hitler, he resigned from his post as a diplomat and moved to Cambridge, where he financed himself with his recent inheritance. There he focused his studies on the Hebridean black house. The premier of the film “Man of Aran” in London made an impression Kissling, who then sought to create a more truthful short film; this led him to his ethnographic recording of Eriskay. 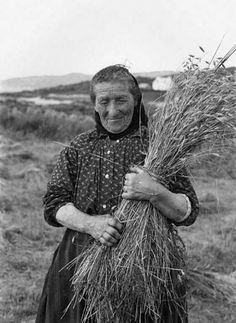 Kissling documented life on Eriskay with a professional 35 mm hired camera from late June until early September in 1934. 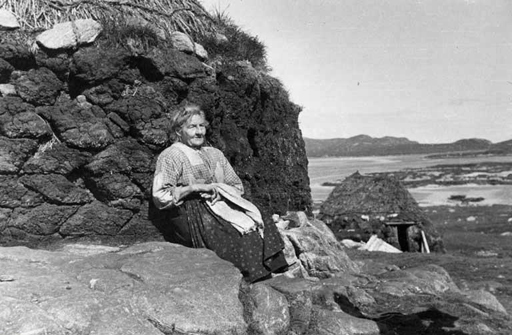 The primary focus of his film and photographs was to record the various crafts and occupations of the inhabitants of the island. This included the wool dying process, peat collection, and fishing. He also included many photographs of the local structures of the island, including the black house (although not the Catholic church, which was a prominent feature of the island). As is the case for all ethnographers, his primary concern was to ensure that these old ways of life were recorded for future generations. The soundtrack for the film was added later and consists of narration, music recorded by the London Gaelic Choir and Sydney MacEwan, and snatches of conversation in Gaelic. Kissling’s short film premièred at one of Lady Londonberry’s “Gaelic Evenings,” the proceeds of which went to create a road across Eriskay. He continued to fight for the residents of the Western Isles and lobbied for a variety of improvements to the island, including a clean water supply in the school. During his seminar, Mike Russell shared many of Werner Kissling’s photographs from Eriskay, including his favourite, pictured below. Dr. Werner Kissling’s original film “Eriskay – A Poem of Remote Lives” can be viewed online via the National Library of Scotland. Mike Russell produced the documentary “Kissling – Duin’ Ioma Fhillte”, which was broadcast on BBC Alba in November of 2009. He also has written two books on Werner Kissling, including A Poem of Remote Lives: Images of Eriskay, 1934 – Enigma of Werner Kissling, 1895–1988 (ISBN: 978-1-897784-46-4) and A Different Country: Photographs by Werner Kissling (ISBN: 978-1-84158-245-0). Mike Russell’s daily blipfoto can be viewed here. Our seminar series continues on 27 October 2015 with Susan Buckham (Stirling) discussing ‘New thinking on Govan Old‘. This will be held in Room 202, 3 University Gardens at 5.30pm.